I use EXPO markers and whiteboards every day as a middle school band director. I’m allergic to chalk, so one of the first things I did as a new director to the school was to cover the chalkboards with whiteboards. Unfortunately, my dry erase markers always dry out before I can order new ones. I also teach at a Title 1 middle school (about 90% of the students are from low-income families and are on the state’s free and reduced lunches). My budget is VERY small, so I typically purchase office supplies (like my EXPO markers) myself out of pocket. My students and I would be so very grateful if we won the EXPO markers. Very glad we could help, Kim! Everyone else, we’ve got another great giveaway happening right now! Enter the Sharpie Giveaway today for your chance to be a winner! 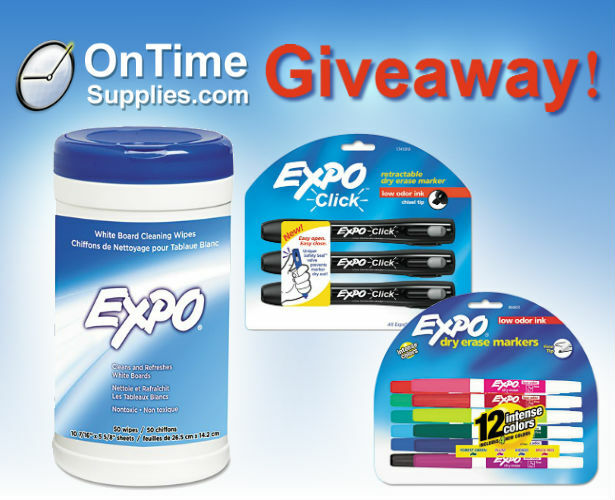 We’re giving away EXPO Dry Erase Markers and Whiteboard Cleaning Wipes to one lucky winner! Enter today for your chance to win! a free 12-Pack of EXPO® Low-Odor Dry-Erase Markers: bold, vivid color with no icky smell! a free 3-pack of retractable EXPO® Click™ Dry Erase Markers: retractable tip means no more dried out markers! plus, a free cannister of EXPO® Dry Erase Board Cleaning Wipes: cleans stubborn markers, so you can keep your dry erase board looking brand new without breaking out the Ben Gay. You have until Monday, July 8th to enter. 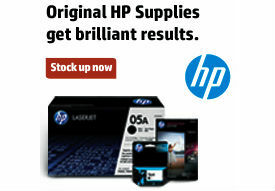 Get extra entries by entering on Facebook, Twitter and Office Ink. We’ll pick a winner at random Wednesday, July 10. Good luck! I would love to win so that I can add this to my donations for our local scholl. My class goes through so many dry erase markers, it would be a blessing to win some for free! I should win because I teach at more than one school, and I don not have a supply budget at either school. I have to go to more than one classroom at both schools, and I use a lot of dry erase products. I’ve always used expo dry erase products, they are the best! I would love to win because these supplies are really needed at our school.